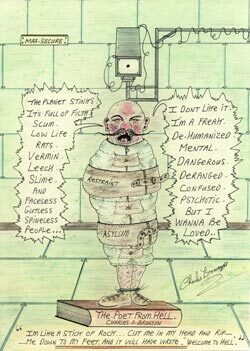 Bronson, The Prison Drawings is a solo exhibition of drawings by one of Britain's most notorious inmates, Charles Bronson. 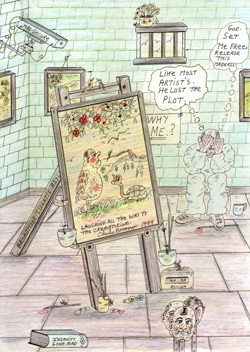 Bronson, The Prison Drawings - Courtesy of the Princess, are a play by play visual documentation of a prison romance from 1997 - 2000 told in graphite, ink and coloured pencil. 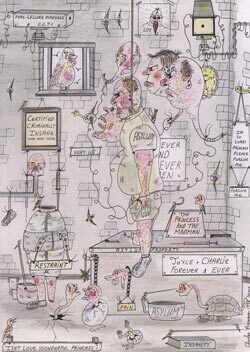 The drawings are brutally revealing. Bronson's hand is controlled but his subject matter is not. The Princess is his muse, foil and interlocutor. In late 1995, The Princess, Canadian woman prisoner TG0786 and Ontario College of Art (OCA) graduate, found herself incarcerated in the United Kingdom on a six year drug smuggling charge. With an interest in art therapy, she began writing to Bronson after seeing one of his drawings in a British tabloid and a romantic correspondence of drawings both singular and collaborative, was begun. Eventually, the happy couple pledged to be married, never having personally met, and the British tabloids went wild with their sensational story of love and commitment. 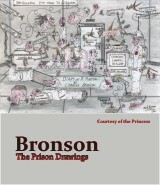 With a curiously sweet candour, brushed with naughtiness, Bronson tells his story, confined by the size of the paper and materials made available to him. With no emotional holds barred, Bronson tells it as he sees it from within prisons of cement blocks, spied upon by surveillance cameras and tortured by his very active imagination. This sociological, psychological and diaristic presentation of the life of an inmate is an exhibition that encourages study and contemplation, yet also rewards both the curious and the art lover. The catalogue and exhibition could not be made without accomplices. I would like to thank the Princess for the chance to host this exciting exhibition and together we gave titles to Bronson’s drawings. 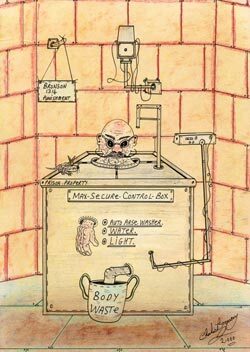 I would also like to thank Ben Portis for his introductory essay and Julie Oakes for her help with the installation and lastly, I would like to congratulate Charles Bronson on his engaging practice of drawing and sharing his life on the inside.